*** I should start of by saying I am writing this after finishing three 12 hour night shifts. For people that work in the healthcare field (especially in a hospital setting), working weekends is pretty normal. I work every other weekend and as many readers know I work the night shift...a 12 hour night shift to be exact. 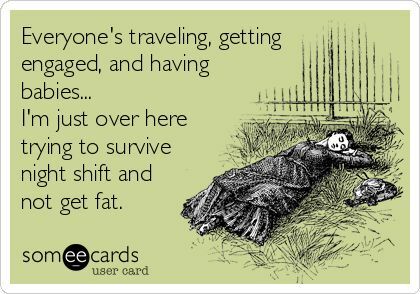 When I moved back home and got my job, I knew this shift was in my future. The money is great (don't get me wrong), but it is just not normal to sleep during the day for me. My body just does better when sleeping at night. 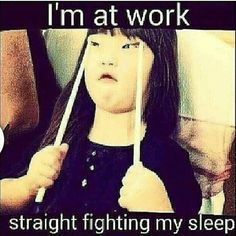 So the past few months I have been trying to survive working night shift. Here are what's been working for me and maybe can help you if you are working nights. Caffeine becomes your best friend. I can't stand the smell of coffee. I know, I am like the worst night shifter! It actually gives me migraines so the only caffeine that I consume is tea. Before work I make myself some green tea and it surprisingly does the trick for the first few hours. Lately I have been drinking additional tea around midnight and that has helped getting over the hump. Be careful though. Don't drink too much caffeine close to the end of the shift. You don't want to be wired right before you need to go to sleep. Food, food, and more food! I've noticed that I tend to eat/snack throughout the entire shift in order to stay awake. Unfortunately a lot of the food is junk food so hellloooo weight gain! One of my co-workers loves to bake during the holidays, so every time she comes to work she brings us new goodies. Our department even has a snack shack that has chips, cookies, sweets, and some healthy snacks. Those sugary sweets give me that sugar rush to keep me awake during the 1-3am bewitching hour. During the slow periods, distract yourself. There are times when I am at work where I am not doing anything. I am pretty much just waiting until the next time I need to do a treatment, a ventilator check, or re-assess a patient. During those periods of time, I distract myself by coloring in my adult coloring book, reading blogs, check out Facebook/Instagram, watch Netflix, or watch YouTube videos. I've brought books to ready but they actually made me sleepy. I pretty much do anything in order to stay awake. Try to get good sleep before work. This unfortunately is something that I am having trouble with. I have been doing night shift since June/July and it really hasn't gotten any better. For some people it takes them a few weeks to get adjusted. I take Melatonin, Advil PM, and sometimes a beer to get some sleep during the day. On average I get about 4-5 hours and let me tell you it is not enough. I wake up feeling almost hungover...just super groggy. I even use ear plugs and an eye mask to make my brain believe it is night time. I hope to eventually go back to day shift but right now I am happy with nights. My hubby and I have a few bills we want to pay off first and then I'll try to switch. For now though, I'll continue what I'm doing and continue to survive night shift. I have huge respect for all in the medical field that have to pull shifts like that!! I could never do it. ugh night shifts! i used to do these and they are ROUGH! i would drink almost a gallon of sweet tea and then a monster before i had to go to class. cant drink the stuff anymore lol. I can't even imagine- I'm such a baby when I'm tired hahah. 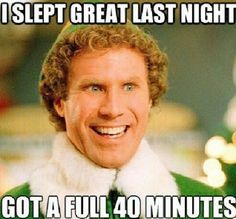 Although, this crazy toddler of mine seems to think night sleep is optional anyway, so since she was born 20 months ago I average about 5 hours of sleep a night as well. Hungover, that's the exact feeling every morning, sooo groggy!